Pillow fights aren’t a kid’s game anymore – pick up your battle axe and get ready for things to get ugly – the pillow wars have begun! These shaped pillows include a scimitar, grenade, nunchucks, ninja star, battle axe, and even a light saber pillow weapon! Gone are the depressing days of having a childhood pillow fight in which you had to actually imagine your favorite pillow was a weapon fit for a warrior. 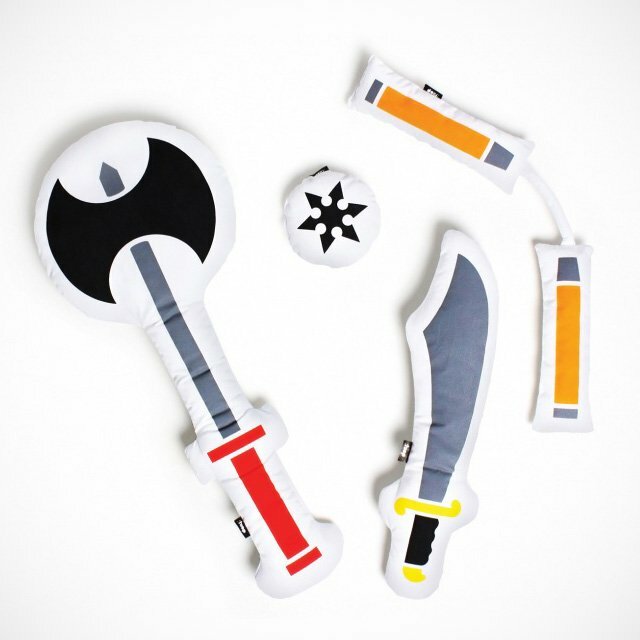 With this set of pillow fight friendly weapons, you and your kids can engage in a sleepover party pillow battle of the ages!